Super Monaco GP Sega Genesis Game cartridge Cleaned, Tested, and Guaranteed to work! As a Formula 1 fan, I thoroughly enjoy testing F1 and F1 type games for every system I own. 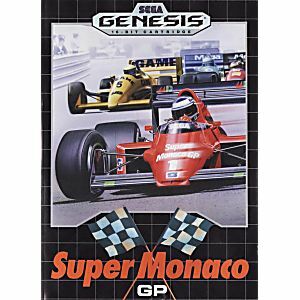 Since acquiring my Sega Genesis I have played Super Monaco Grand Prix 1 and Super Monaco Grand Prix 2, in fact, I bought Super Monaco 2 before I even had a Genesis! Strictly because as a F1 fan, by default, I am also an Ayrton Senna fan and after learning that he officially endorsed a Sega racing game I could hardly resist running out to find a copy! I had really high hopes for that game and I can't really say that it let me down but I felt as if something about it was off; mainly the sound. The cars sound like a small blender trying its hardest to mash uncooked potatoes! Still, I love Ayrton Senna, so proudly the game sits on display in my living room. Naturally, as an enthusiast, I had to pick up the first installment of Super Monaco, but this time without high hopes. Well was I ever surprised! Super Monaco 1 is a wayyyy better game than Super Monaco 2, except it doesn't have Aryton Senna on the cover. 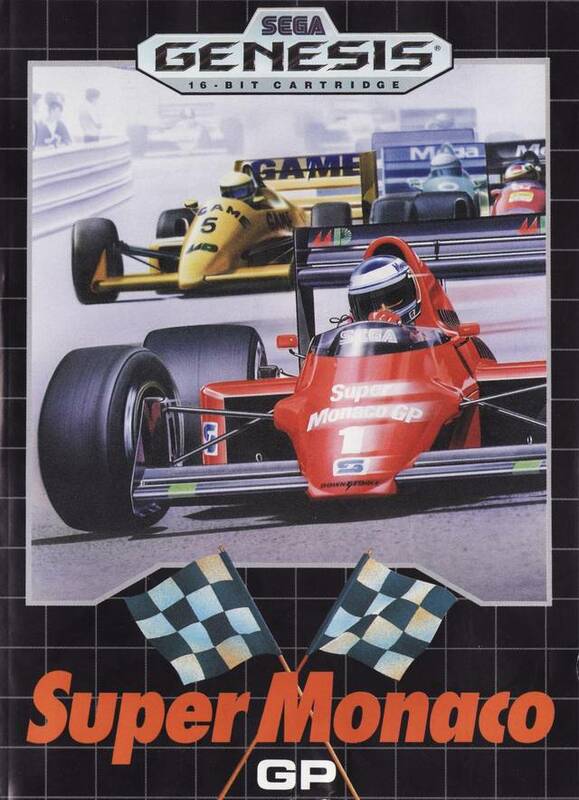 The game play is smooth, the controls are sensitive and require exact input, the cars sound like cars... it's a great F1 game for the Sega Genesis and I highly recommend! I only have Ferrari Challenge and F1 to test for the Genesis.